… do you just go ahead and start fielding the lineup that we’ll be trotting out in 2015 anyway? Leave Rendon at 3rd, leave Espinosa at 2nd, install Zimmerman at 1st and trade Adam LaRoche to a team that needs a first baseman? LaRoche is easily the team’s best hitter right now with a slash line better than the coveted .300/.400/.500. You don’t trade the best hitter off of your offensively struggling team. Nobody makes trades 8 weeks into the season. And most of the possible trade candidates for LaRoche (Baltimore, New York, Milwaukee, Pittsburgh) don’t make as much sense now as they may have a few weeks ago. Espinosa is starting to remind the team again why they demoted him last year, with his average now slipping towards Mendoza line territory. Despite the Nats awful stretch, they’re only 2.5 games out of first in the NL East, and that’s during a stretch when the meat of their order has been missing. Its far too early to wave any white flags and/or start dismantling the team. 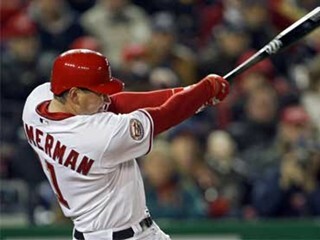 Or, do you take interest in the fact that Zimmerman has been taking a ton of fly-balls and stick him in left? I like this move: Zimmerman comes back, and you leave the infield as-is, stick him in left field and you’re a stronger lineup. Zimmerman’s “yips” will disappear in Left Field; every throw he’ll make will either be a lob back into the infield after a single, or a max-effort peg to either 2nd or home that won’t allow him time to “think” about the throw. Jon Heyman is now reporting that Zimmerman is being set-up to be a multi-positional player and his fly ball workouts were not (as Zimmerman claimed multiple times) just a “workout” routine. 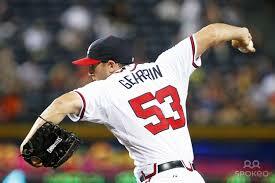 (side note: I now exactly what Zimmerman is going through; as a 15-yr old middle infielder I tore my rotator cuff. After rehab, I returned and found that I struggled to make simple throws from second base or short stop. I had the yips myself. I eventually moved into the outfield to finish off my career in a rather frustrating fashion. After years of playing softball in my 20s, where nearly every infield throw is max-effort, I had regained a ton of my confidence and could return to playing middle infield on the diamond … but I still struggle on specific plays. When I first came back I caught … and (like Sasser) struggled making the throw back to the pitcher sometimes. Making a double-play turning toss from ss->2nd? I sieze up every time and have resorted to flipping the ball under-handed. It is a very frustrating situation to deal with. Zimmerman acknowleding his issue and trying to do what’s best for the team by limiting his arm exposure shows great character). Of course, then, when Harper comes back … what do you do? Maybe you frigging finally sit Denard Span and his middling OBP (which was raised 40 points by his recent outburst and 4-4 game) and stick Harper in center. I’ve had it with our lead-off hitter making outs nearly 8 out of 10 times up. Yes Span is a plus defender in center and inarguably saves runs. No, Harper would not be as good as Span in the field. But at this point, replacing Harper’s production for Span’s in the lineup makes this a better team. So that means Rendon back to 2nd, Zimmerman back to 3rd, and the fanbase back to holding its collective breath everytime he gets a grounder. At least until spring training 2015, when this all goes away by itself when LaRoche hits free agency and Zimmerman permanently attaches a 1st basemen’s glove to his left hand. I’ll give credit where credit is due though on Zimmerman taking fly-balls and apparently being amenable to trying out the outfield: seeing a gold-glove winning veteran on a 9-figure deal trying a new position mid-career, perhaps acknowledging that he has a problem is refreshing. Remember the nightmare we had with Alfonso Soriano moving to left field? And word came out recently that Rickie Weeks “refused to consider” a position switch from 2nd to left, a rather disappointing turn of events for his team, who are paying the underperforming infielder $11M to ride the pine this year. Instead Zimmerman looks to be doing the team-first thing, working out at a new position where he can get back into the lineup AND not hurt the team anymore. It isn’t unheard of for hall-of-fame calibre players to move positions (see Yount, Robin), nor is it unheard of to see plus-defenders try alternate positions for the betterment of the team (see the likes of Manny Machado and Jurickson Profar, both fantastic fielding shortstops who are playing other positions to allow entrenched veterans who may not necessarily be better fielders stay at short). Heck, look at what Rendon did; he was a third baseman all the way … and he made the move to 2nd and has done reasonably well there. We’ll see what happens when Zimmerman gets off the d/l. When we last checked in with Prep Baseball on 5/20/14, Maryland was through its regionals, the private schools were mostly done, DC was still finishing the regular season, and Virginia was just starting up its District (aka “Conference”) tournaments. Lets see where we stand now after the Memorial Day weekend and a slew of tournament results. I’m publishing this now that the entirety of the northern Virginia 6-A and 5-A conference tournamants are complete; some of the other conferences elsewhere in the state as well as the smaller divisions are still ongoing. We’ll update those when we get to regional tournament results. Red text marks locations where we’re missing results and/or results are pending because of future games. Virginia HS Baseball has been, for at least the past 50 years or so, divided up simply into AAA, AA and A divisions. Hence for a long time you could state who was the “AAA State Champ” and it was basically the best team in the state (the odds of a AA school competing with a AAA school were slim). Now, we have 6 different divisions; 6-A, 5-A, 4-A, down to 1-A. I guess it could be worse: Florida has even more divisions (they go up to 8-A) and teams in 5-A and 6-A are often ranked higher than 8-A teams there. So in 2014, we’ll have a six champions crowned and may have a tough time stating with certainly whose better, especially between the 6-A and 5-A schools that used to compete against each other for decades. But so be it; on with the tournaments. Important Virginia tourney links: Upcoming Schedule (VHSL site and VHSL Conference and Regional Playoff Brackets). Regular Season ending: week of May 13-May 16th. Virginia District Tournaments are scheduled from May 18th to May 27th or so. Virginia Regionals: from May 30th to June 6th. Virgina State Semis and finals: June 10-13th. Here are the Northern Virginia Conference champions, regular season and tournament. Each team that makes a Conference quarter final qualifies for the Regional tournament. 6-A North Region (which roughly equates to the old “Northern Region”). 6-A Conference 5/Concorde (playoff bracket): Oakton regular season champ. In the playoffs, Oakton and #2 seed Chantilly got byes to the semis, while Centreville lost to Herndon 1-0 and Westfield handled Robinson 7-4 on 5/21/14 in big-school matchups (which if it were football would be each be Regional final quality). In the 5/23/14 semis, Chantilly beat Herndon 7-3 and Oakton topped Westfield 4-1. This sets up a #1/#2 final on 5/26/14; Chantilly (the 2nd seed) swept Oakton in the regular season so Oakton has its hands full. However, Oakton persevered, topping Chantilly 5-1 behind Conference player of the year Tommy Lopez‘s pitching and hitting exploits. 6-A Conference 6/Liberty (playoff bracket): Madison regular season champ. In the playoffs, #2 seed South Lakes was upset by McLean (taking South Lakes out of the regional picture) paving the way for #3 seed Langley to return to the conference final (beating McLean in the semis). There Langley meets Madison on 5/23/14, who shut-out #5 Washington & Lee in the conference semis behind 6 shut-out innings from conference Pitcher of the Year John DeFazio (a junior who threw a perfect game earlier this year). Langley expects to throw conference Player of the year Jake McSteen in the final; McSteen is undefeated on the mound this year and is committed to Nebraska. Madison swept Langley in the regular season but never faced McSteen. In the Conference Final at Madison on 5/23/14, Madison’s Nick Brady (heading to Princeton) threw 5 shutout innings and Madison got to McSteen for a 3-0 victory (insidenova.com story) This is Madison’s 3rd district/conference title in four years and they head into the Regional tournament as presumably the #1 overall seed and clear favorite. 6-A Conference 7/Potomac (playoff bracket): West Springfield regular season champ. In the playoffs Annandale took out perennail baseball power Lake Braddock in the quarters, while the seeds played true to form with South County facing West Potomac in the other conference semi. In the conference semis West Potomac easily handled South County while West Springfield outlasted Annandale to setup a #1 vs #2 conference final on 5/23/14. In the final, West Springfield beat West Potomac 8-5 to sweep the regular and tourney titles. 6-A Conference 8/Cedar Run (playoff bracket): Osbourn Park regular season champ. The playoffs went according to seed, with #1 Osbourn Park facing #2 Battlefield for the conference title. Battlefield took out fellow PW powerhouse Patriot 4-0 behind a shutout from lefty senior Nick Wells (committed to College of Charleston) in the #2/#3 seed conference semi matchup. In the 5/23/14 final, Battlefield upset Osbourn Park 7-3. 6-A North Regional Qualifiers (in seed order). Regional Playoff Bracket is here: the semi finalists from the four 6-A North conferences all qualify. First round is Friday 5/30/14 at the higher seed’s home site. Its hard not to say that Madison is your Region favorite; there’s not another All-Met top 10 ranked team here and Madison’s only local loss this year was to Stone Bridge’s Jacob Bukauskas. But Madison has a tough road ahead: they face Herndon on 5/3014, then (likely) Patriot. Meanwhile Oakton faces a tough 2nd round potential matchup with Battlefield; are teams from the Cedar Run conference strong or weak? Myquick Regional semis predictions would be Osbourn Park, West Springfield, Battlefield and Madison. 6-A South Region: which is mostly big-time schools in Richmond and the Virginia Beach area. But there are just enough schools in Woodbridge proper to form a 6-A conference closer to DC with teams that are typically considered for All-Met rankings. 6-A Conference 4: (playoff bracket): Hylton (Woodbridge) regular season champ with a playoff bye. In the quarters Forest Park (Woodbridge) beat Stafford 4-1, Gar-Field (Woodbridge) was pounded by #2 Colonial Forge (Stafford) 8-0, and Woodbridge lost to #3 Riverbend (Fredericksburg) 4-2. In the 5/30/14 semis, Hylton beat Forest Park 3-0 and Riverbend upset Colonial Forge 5-1. In the 5/31/14 final, Hylton scored in the bottom of the 7th to take the crown 2-1. Other 6-A South conferences are slow to get started; the brackets are available (spotty) online at the above VHSL link). 5-A North Region (which also roughly equates to schools from the old Northern Region, with the exception of Conference 16 … which includes schools all the way to South Boston). 5-A Conference 13/Capitol (playoff bracket): Marshall regular season champ. In the playoffs, the seeds held mostly to form in the quarters, with Marshall beating Wakefield, #2 seed Edison pounding Falls Church, #3 Lee taking out Jefferson and #5 Stuart squeaking by Mount Vernon. In the semis on 5/21/14 the #1 and #2 seeds advanced to the final, with Edison beating Lee and Marshall handling Stuart. 5/23/14 final: Marshall beat Edison 4-2 for their first district/conference championship in nearly 15 years. 5-A Conference 14 (playoff bracket): Stone Bridge regular season champ. Broad Run and Tuscarora won their quarters, making the semis Stone Bridge vs Broad Run in a battle of Ashburn high schools, and Freedom (South Riding) versus Tuscarora (Leesburg). In the Semis 5/23/14 the seeds held true, with #1 Stone Bridge getting past Broad Run 3-0 and #2 Freedom taking out Tuscarora 5-0. In the 5/27/14 final Stone Bridge squeaked by Freedom-SR 6-5. 5-A Conference 15 (playoff bracket): Potomac (VA) regular season champ. In the semis, Potomac (Dumfries) pounded Mountain View (Centreville) while North Stafford handled Brooke Point in an all-Stafford semi. Final on 5/27/14: Potomac blanked North Stafford 8-0 and looks like a force in the regional tournament. 5-A Conference 16 (playoff bracket): Comprised of four schools far away from the DC area. Halifax (South Boston) was the regular season champion, followed by Patrick Henry (Roanoke), Albemarle (Charlottesville), and Orange (north of Charlottesville, not quite to Culpeper). Wow that’s a lot of driving for those schools to play district games. In the 5/23/14 Halifax crushed Orange and Patrick Henry beat Albemarle, setting up a #1/#2 seed final in this small conference. Patrick Henry upset Halifax 4-2 to take the conference final on memorial day, but the seedings went by regular season standings for the regional tournament. 5-A NorthRegional Qualifiers (in seed order): Regional playoff bracket is here. Unlike in 6-A, only the top 3 seeds advanced in some of these conferences. Maybe its based on the size of the conference. 5-A South Regional: Playoff bracket here. Smaller Virginia Classifications: for years Northern Virginia didn’t have anything smaller than 6-A and 5-A schools (with apologies to George Mason HS in Falls Church); now the proliferation of newer high schools in Loudoun County has led to a slew of 4-A and 3-A schools. They have to do some serious commuting though; most of their conference foes are significant distances west and south. None of these schools are considered baseball powers in the same vein as the 5-A and 6-A schools above. 4-A conference 21 (playoff bracket): Millbrook was the regular season champ, going 12-0 in conference. In the qtrs on 5/23/14 Heritage (Leesburg) beat Park View (Sterling) 3-0, Dominion (Sterling), lost to Millbrook (Winchester) 9-0, Loudoun County (Leesburg) beat James Wood (Winchester) 5-4, and Sherando (Stephens City, outside Winchester) blanked Woodgrove (Purceville, outside Leesburg) 6-0. In the 5/27/14 semis, Sherando beat Heritage 4-3 and Loudoun County was blanked by Millbrook 4-0. In the 5/29/14 final, Milbrook beat Sherando for the fourth time this year 5-4. 3-A Conference 27 (playoff bracket): Culpeper regular season champ. Quarters 5/26/14 #4 Manassas Park lost to #5 Spotsylvania 2-0, #3 Brentsville crushed #6 James Monroe 10-0. Semis 5/28/14, #1 Culpeper beat Spotsylvania 5-2, while the other semi #2 Kettle Run beat Brentsville. The #1/#2 Final is 5/31/14, won by Kettle Run in an upset 8-4. 3-A Conference 28 (playoff bracket): Loudoun Valley regular season champ. Quarters 5/26/14: #4 Skyline beat #5 Warren County 5-0 and #3 Central beat #6 John Champe 6-5. In the 5/28/14 semis, #1 Loudoun Valley beat Skyline by the astounding score of 27-6, and #2 William Monroe beat Central 5-0. In the Final on 5/30/14: Loudoun Valley pounded William Monroe 12-1. Wow; that’s quite a conference tournament showing for Loudoun Valley. 2-A Conference 35 (playoff bracket): Strasburg was the regular season champ with just a single loss all year. This conference is home to Falls Church’s George Mason HS, the smallest high school in the Northern Virginia area. They were the #2 seed but were upset in the 1st round of the playoffs 6-5 by Madison County, ending their season. Strasburg won the conference with ease and enters the regionals with a 20-1. record. Semifinalists and regional champions were: repeat regional champion Elanor Roosevelt (Greenbelt), Sherwood (Sandy Spring/Olney), Gaithersburg and Baltimore’s #4 ranked Chesapeake (Pasadena, near Annapolis). In the first state semi, Sherwood’s Matt Chanin (UMBC commit) threw a no-hitter and Sherwood blitzed Elanor Roosevelt 10-0. In the other semi, Chesapeake blanked Gaithersburg 6-0 behind Chris Ruszin‘s shutout (Towson commit) as Gaithersburg committed 5 errors in the field. In the state final on 5/23/14, Chesapeake’s Drew Spinnenweber (committed to the US Merchant Marine academy) threw a 13-k shutout to beat Sherwood 2-0. Semifinalists and regional champions were: La Plata, Baltimore #5 North Harford (Plysville, near PA border north of Baltimore), Thomas Johnson (Frederick) and Baltimore’s #2 ranked Reservoir (Fulton, near Columbia). In the state semis, North Harford blitzed La Plata 8-2, and Reservoir similarly blitzed Thomas Johnson 12-4. In the State final on 5/24/14, junior Cody Morris threw a 2-hitter and Reservoir beat North Harford 2-0. Morris struck out 11 and dominated in the final; he’s just a junior but has already hit 94 in showcase events, was holding 92 in the state final and is an early commit to South Carolina. He’ll be one to watch next year, to see if he can become a high-draft pick prospect. Semifinalists were: Poolsville, joined by Southern (in Harwood, south of Annapolis), Hereford (in Parkton, north of Baltimore on I-83) and Parkside (in Salisbury). In the state semis, Poolsville’s great season came to an end in a 5-4 loss to Parkside. Poolsville rallied from an early deficit, tied the game late to send it into extra-innings but gave up the winning run in the 9th. Southern beat Hereford in the other semi. In the state final on 5/24/14, Southern beat Parkside in a tight 3-2 affair to cap a surprising state title (they were just 16-9 on the season and at one point were 3 games under .500). Semifinalists were: Maritime Academy (Baltimore), Sparrows Point (Baltimore), Smithsburg (outside of Hagerstown) and Cambridge-South Dorchester. In the state semis, Sparrows Point beat Maritime Academy 24-0 (that’s not a typo; Sparrows Point won its regional final 24-1), and Smithsburg beat Cambridge-South Dorchester 4-3 (preventing Cambridge’s attempt to repeat as state titlists) to set-up a possibly lopsided state final. In the state finals on 5/24/14, Smithsburg blanked Sparrows Point 9-0, the exact opposite result that I anticipated. 3-A: 2013 final: Bel Air (North of Baltimore) defeated La Plata (south of PG county), 3-2. 2012: Bennett. 2011: Bennett. 2010: C. Milton Wright. 2-A: 2013 final: Catoctin defeated North Caroline, 4-2. 2012: Williamsport. 2011: North Caroline. 2010: North Hagerstown. 1-A: 2013 final: Cambridge/South Dorchester defeated Allegany, 15-0. 2012: Mountain Ridge. 2011: St. Michaels. 2010: St. Michaels. Wilson HS is the dominant team and has been for two decades; no surprise here who won the regular season league championship. The 2014 DCIAA championship has yet to be scheduled (they usually wait for an open date at Nats park in early June: June 7th and 14th are candidates dates this year). (In 2013, Wilson defeated Mckinley Tech 16-2 for the DCIAA championship). The Inagural DCSAA “State” Baseball tournament for the District of Columbia kicked off on 5/20/14. The “state” tournament is going on at the same time as the DCIAA regular season, making scheduling rather difficult for some teams (aka Wilson, who had four games in four days this past week!). The field of 9 teams seems to be invite-only; it contains a cherry-picked list of DC schools, mostly private though with a couple of public schools. And the schedule is awful; teams must play at least three games in four days (or four in five days if they are in the play-in game) in order to win this tournament. The championship game took place on 5/24/14 at Nats park, so that’s quite a carrot. #1 seed St. Johns seems likely to meet #2 seed (and fellow WCAC conference foe) Gonzaga for the title, but must go through DCIAA power Wilson to get there. In the Quarters, the seeds mostly held to form with #1 St. Johns, #5 Wilson, #3 St. Albans and #2 Gonzaga all advanced. In the semis on 5/23/14, St. Johns blanked a tired Wilson 4-0 and St. Albans upset Gonzaga 2-1 to setup a great grudge-match settling final between the champions of Washington’s two biggest private leagues. In the final, St. Johns outlasted their IAC counterparts 6-3 in the season finale for both squads. WCAC : Washington Catholic Athletic Conference: St. Johns over O’Connell. IAC: Interstate Athletic Conference: St. Albans over Georgetown Prep. MAC: Mid-Atlantic Athletic Conference: Flint Hill with an undefeated regular season. (anyone have a home page for this league besides wikipedia?). PVAC: Potomac Valley Athletic Conference: I’ve never heard of any of the schools in this league, and I’ve lived in DC my entire life. VISAA: Virginia Independent Schools Athletic Association: Division I: Liberty Christian (Lynchburg) over Charlottesville’s St. Anne’s-Belfield. MIAA: Maryland Interscholastic Athletic Association: A-classification: Baltimore #1 Spalding defeats Baltimore #2 Calvert Hall. B-Classification: St. Mary’s defeats Annapolis Area Christian. C-Classification: St. Johns defeats Chapelgate Christian. (Note: this is not the same St. Johns as plays in the WCAC; there’s several small St. Johns high schools in maryland, and the big St. Johns prep school from the WCAC is located in Northwest DC). Maryland Private High School Tournament: tbd; an older tournament not being held in 2014. Thanks to the Washington Post’s AllMetSports section with standings and schedule results. InsideNova.com‘s coverage of high school sports. MaxPreps.com also has some non-paywall HS information that comes in handy too. 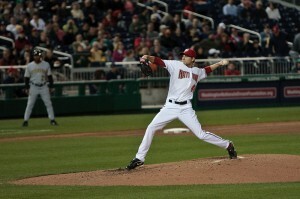 Nvdaily.com (Strasburg/Winchester) has some results for some of the teams in the smaller conferences/outskirts of DC. Fredericksburg.com has some local coverage. The Baltimore Sun’s high school page has information on some of the programs outside the DC area mentioned in the Maryland section (and here’s the updated Baltimore top-20, akin to the AllMetSports top-10 list). I use perfectgame.org to look up high-end HS prospects. VHSL’s and MPSSAA home pages for playoff brackets and updates for VA and MD respectively. If you have any other good sources for local prep baseball information, i’m all ears. Indiana: Big-10 regular season and conference tourney champion. Florida State: ACC Atlantic division champion. Louisiana-Lafayette: Sun Belt regular season and conference tourney champion. LSU: 2nd SEC Western division, conference tourney champion. Rice: Conference USA regular season and conference tourney champion. By inferring the stated match-ups of regional hosts, we infer the 9th-16 national seeds from the regional hosts: The 16 regional hosts *usually* are also the top 16 seeds of the tournament, though there have been some deviations from this in the past. However these seem accurate based on RPI rankings and typical top-25 votes. Seeding Analysis: I thought Oregon State was slightly over-seeded at #1; I think you have to put Florida or Florida State there based on their record, Strength of Schedule (SoS) and the conferences they play in. Otherwise in some form or fashion I think your top 8 seeds are correct. Some are complaining about Indiana but their RPI and BA ranks are top 8 material and there’s no team seeded 9-12 that can make a real strong case to rise. I think teams like Houston, Washington and Texas were pretty hard done by not getting at least a regional host/9-16 seed. How does the Pac-12 get the #1 overall seed but its 2nd best team doesn’t even rate a top 16 seed? Meanwhile Houston is 10th in RPI and #15 in the latest BA poll, and they have to go to LSU to compete against a championship-calibre team. (Note: CollegeBaseballBlog is reviewing every regional this week ahead of the weekend games. Click here for an example). Easiest Regionals: Miami, who in their 42nd consecutive CWS appearance gets Ivy league champ Columbia as its regional THREE seed and a team with a losing record as its 4th seed. Of course, Miami’s prize will be a super-regional matchup with my tournament favorite Florida and a likely trip home. Oregon State’s regional looks incredibly straight forward; its #2 and #3 seeds are from smaller baseball conferences and its #2 seed (UNLV) just lost their friday starter (Erick Fedde) to Tommy John. Indiana’s regional looks pretty easy all things considered, and Florida State’s regional isn’t difficult, with middling SEC team Alabama and small conference schools to contend with. Hardest Regionals: LSU; they get Houston, a team that should have been seeded as well as conference champ Bryant. Oklahoma State got no favors with Nebraska and traditional power Cal-State Fullerton. Rice gets #12 RPI ranked Texas to go with Texas A&M. Ole Miss gets 14th ranked and under-seeded Washington to go with 25th ranked Georgia Tech and a pesky 4th seed in Jacksonville State. Florida has three teams ranked inside of the RPI #50 in its regional; no cupcakes here and it includes the best #4 seed in the tourney (College of Charleston with local favorite Taylor Clarke). TCU gets baseball powerhouse Dallas Baptist to go along with Sam Houston State, a team ranked in and out of the top 25 all year. Lastly Louisville has a regional that looks like a fantastic basketball tournament; they have Kentucky, Kansas and Kent State. Kentucky and Kansas were in the top 25 as recently as earlier this month and this could be a very competitive regional. Snubs: West Virginia was the highest RPI ranked team left out (#38) but that was mostly on their SoS; they were barely a .500 team overall and were just 9-14 in divisional play. Next in RPI rankings missing out were Mercer (#46), UCF (#48), and UC Santa Barbara (#50). Central Florida likely was the “last team out” and Clemson/UC Irvine were the “last teams in.” Duke may feel a bit unfairly done by; they finished ahead of two other NCAA teams in the conference standings. CAA champ William & Mary just didn’t have the SOS to get in after losing the conference tournament. Wright State won its conference going 25-4 in division only to lose the tournamnet to the team that finished dead last in conference play (Youngstown State). 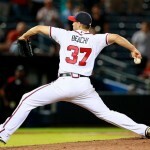 (Links to other analysis from CollegeBaseballDaily blog, BaseballAmerica cool facts and tidbits, and BaseballAmerica field of 64 analysis by Aaron Fitt). Local Rooting Interests: #3 overall seed and regional host UVA. Liberty (#3 seed in Charlottesville region), Old Dominion (#3 seed in South Carolina’s region), George Mason (#4 seed in Rice’s regional), and U of Maryland (#2 seed in South Carolina region). Tough matchup for Liberty. Maryland returns to the tournament for the first time in 43 years, an amazing fact. George Mason not only has to travel to Dallas, but they get two top 12 ranked teams in Rice and Texas. Its hard to envision any of these teams besides host UVA advancing. Max Pentecost catches for Kennesaw State. 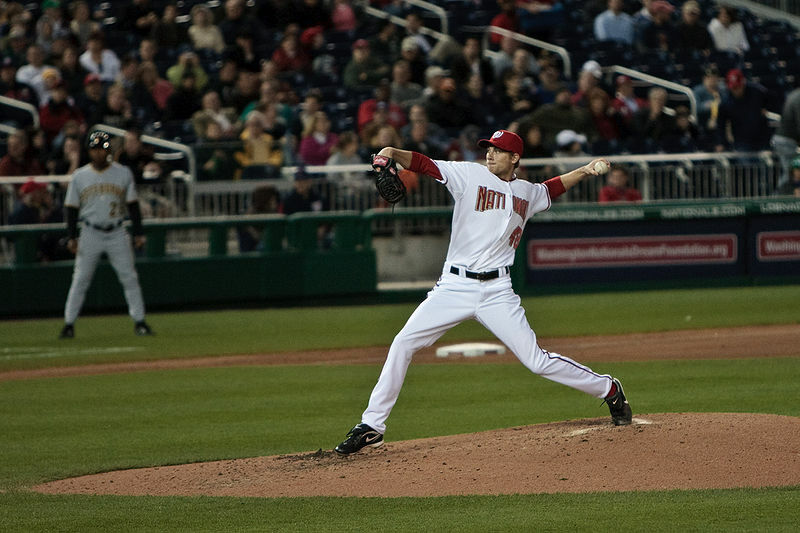 Erick Fedde‘s team (UNLV) is in the tourney but he isn’t; he had Tommy John surgery a couple of weeks back. Remember this name; more than one pundit has the Nats drafting him in 2 weeks time. UVA has three 1st-2nd rounders of note as discussed here frequently: Derek Fisher, Mike Papi and Nick Howard. See more of the guys in play by scanning down MLBdraftInsider’s latest mock draft. And mlb.com posted its link to the Tourney teeming with talent. Regionals run from Friday 5/30/14 to Monday June 2nd (if needed). I think Texas beats out perennially over-ranked #9 Rice. I think #10 Cal Poly doesn’t have the SoS to compete with either Arizona State or Pepperdine and will get beat. I like Washington over #11 Ole Miss. I think Kentucky can outlast #12 Louisville. I think #16 Oklahoma State could be in trouble with Cal State Fullerton looming as a pretty tough #3 seed. I worry about small-conference #6 Louisiana-Lafayette’s lofty ranking (they’re #1 in the final BA poll) but they got a pretty easy regional. Despite Houston’s pedigre I don’t think they can beat out #8 LSU, and someone has to go through Aaron Nola. And despite some complaints with #4 Indiana’s seeding their bracket is pretty easy. Other pundit regional predictions: CollegeBaseballBlog and MinorLeagueBall/Chris Slade. Useful College Baseball links to use: BaseballAmerica, and their top-25 lists. d1baseball.com is fantastic and is the best place to get updated information on day-to-day data, standings, and tournament results. PerfectGame.org has the best data on college players in their vast prep database. Warrennolan.com has the best guesses on college baseball RPIs. NCBWA does top-30 polls and other analysis. My first 2014 College/College World Series post. Lets take a quick look at conferences with DC/MD/VA collegiate of interest and see how things went for them in their conference tourneys. College Baseball Resources: BaseballAmerica, and their top-25 lists. d1baseball.com is fantastic and is the best place to get updated information on day-to-day data, standings, and tournament results. PerfectGame.org has the best data on college players in their vast prep database. Warrenolan.com has the best guesses on college baseball RPIs. We’ll start with the strongest local baseball conference and with two significant local teams of note. The ACC has three teams listed in the top 7 of the latest Baseball America top 25 poll (UVA, Miami and Florida State) with the highest of them (UVA) being the lowest seeded of the three in the ACC tournament. ACC Regular Season champs: Florida State and Miami, with Miami getting the #1 conference seed by virtue of a better in-conference record. UVA and Maryland were 2nd in their respective divisions but got the #3 and #6 seeds thanks to a bunching of ACC teams with nearly identical .500 records in-conference. The big story in the ACC this year was NC State’s underperformance given its two first round talents (Carlos Rodon and Trea Turner). Rodon went just 6-7 on the season (with a 2.01 ERA and 117 Ks in 98 2/3 innings) and fell from the conesensus 1-1 draft slot that he was presumed to have ever since last year’s Rule-4 draft. Controversy also followed Rodon and the NC State coaching staff after a couple of questionable high pitch-count outings were lambasted in the national media. Turner had a solid year (.321/.418/.516 with 8 homers and 26/30 stolen bases) though and seems to continue to be a solid mid-late first rounder. In the conference tournament, Maryland got an upset win over UVA in pool play on 5/22/14 behind ace Jake Stinnett‘s 8 inning, 10k performance. UVA threw mid-week starter Artie Lewicki, saving their bigger arms for the rest of pool-play presumably. However it wouldn’t matter; Maryland’s second pool win over Florida State combined with UVA’s victory meant that Maryland was automatically in the ACC tournament final. There they meet Georgia Tech on 5/25/14. UVA can save its arms for the regional tournament, where they’re extremely likely to be a national seed and regional/super regional host. Conference tournament champion and NCAA automatic qualifier Georgia Tech, who beat Maryland (the two pool winners) 9-4 on 5/25/14. Maryland should have a strong enough resume to get an at-large bid (they’re 25th in Warren Nolan’s RPI) while Georgia Tech may have just stolen an at-large bid from someone. A-10 Regular season champs: St. Louis. GMU finished 4th in league play, VCU and Richmond were 5th and 6th. George Washington finished 8th out of 12 teams in the A-10 and did not qualify for the post-season tournament (which oddly only invited 7 teams … a strange number). In the conference tournament, Mason got two quick wins to sit in the championship game of the winner’s bracket, where they met VCU (who had upset #1 seed St. Louis). Mason got the victory over state-rivals VCU in the winners’ bracket final, putting them in the driver seat for the automatic CWS spot. VCU got a second victory over St. Louis in the loser’s bracket final and must beat Mason back to back on 5/24/14 to take the tournament. Conference tournament champion and NCAA automatic qualifier: George Mason, who beat VCU 4-3 on 5/24/14. First CWS appearance for Mason since 2009 and their first conference baseball title since 1992. Wow; more than 20 years. Big South Regular Season champs: Liberty, a surprising small school who blitzed the conference en route to a 40-15 regular season record and frequent mention in top 25 rankings of Baseball America and other collegiate polls. VMI and Longwood did not qualify for the post-season tournament. In the conference tournament, Liberty suffered an early loss and faced Radford in an elimination game but put themselves in a position to advance to the tourney final by eliminating Radford on 5/23. Winthrop ended Liberty’s quest in the bracket finals, leaving Liberty to hold their breaths on acquiring an at-large bid (they should be OK: #28 in the latest Warren Nolan RPI estimates). Conference tournament champion and NCAA automatic qualifier: Campbell, who beat Winthrop on 5/25/14. Colonial Regular Season champs: William & Mary, outlasting perennial baseball power College of Charleston by a half game (by virtue of playing one less game in-conference). JMU had a very down year, finishing just 17-36 while Towson (who was scheduled for baseball extinction) continues to struggle thanks to their coach releasing all their players thanks to program instability. Neither Towson nor Hofstra was invited to the post-season tournament (for unknown reasons both; the CAA has a penchant for dis-inviting teams that announce they’re leaving the conference). In the conference tournament, JMU was two-and-out quickly as the tournament played to its seeds early. The Washington Post had a great feature on College of Charleston starter (ex-Towson and Broad Run alumni) Taylor Clark, who turned into their ace this year and got the playoff-win for Charleston on 5/22/14. William & Mary advanced out of the loser’s bracket and has to sweep a double-header on 5/24/14 to win the conference tournament. Conference tournament champion and NCAA automatic qualifier: College of Charleston, who beat William & Mary on 5/24/14. Local kid Clark gets a shot at a CWS regional. I honestly forgot that Old Dominion had moved to this conference until seeing them in the field of 64. Regular season champ: Rice. ODU was 4th. In the conference tournament, ODU got a win over Rice, but Rice fought back to take the conference tournament. MEAC: (Local teams UMES and Norfolk State): UMES had a down year and missed the post-season tournament. Norfolk State lost in the final of the conference tournament to MEAC baseball power and frequent CWS participant Bethune-Cookman. Patriot: Navy beaten by eventual conference champ Bucknell. The College World Series field of 64 will be announced just after the Memorial day weekend, upon the completion of all the college tournaments. Analysis to follow. Now that the prep high school regular seasons are (for the most part) over, here’s a review of some of the DC-area local prep high school tournaments. Last year I only covered the Virginia tourneys (in the interest of openness; i’m a resident and an alum of Northern Virginia and have more interest in the Virginia side of the house), but this year i’ve thrown in coverage of the Maryland side, the private leagues and DC. The Maryland tournament nearly finishes before the Virginia districts start, as do the private high school tournaments. Meanwhile there’s not much to report in DC, but we’ll talk about them at the end of the post. Conference tournaments are starting this week, so we’ll talk more about how some local favorites are doing in the next iteration of this post. Thanks to the beauty of bureacracy, Northern Virginia’s old district “names” have gone by the wayside (the “Northern Region” used to be the Concorde, Liberty, National and Patriot districts, and before that it was Northern, Great Falls, Alexandria and Potomac), and we now have the unemotional numbering of districts. Except there seems to be some transition between the old names and the new conference numbers. Conference #’s 5-8 are basically the 6-A schools in Arlington, Fairfax, Loudoun and some PW counties. Conference #s 13-15 are basically the 5-A/smaller high schools from around Northern Virginia. Links to conference standings at allmetsports.com are here and standings at insidenova are here but results are spotty in some/most cases. Confusing matters are the fact that some of the conferences with PW and Fauquier schools also have schools that aren’t considered proximiate to the DC area, so sites like allmetsports.com and InsideNova.com don’t really cover them. And, the conference tournament schedules seem all in dis-array this year, with some conferences starting their district tournaments earlier than others. Conference 4: Bigger PW and Fauquier schools from the old Northwestern Region: Hylton and Colonial Forge are powers this year. Conference 5/Concorde: Contains regional powerhouses Oakton, Chantilly, Robinson, Westfield and Centreville. Led by Chantilly this year. Conference 6/Liberty: Dominated this year by Madison, with last year’s upstarts like Yorktown/Washington & Lee and the McLean schools struggling. Conference play kicked off on 5/18/14 with Langley beating Hayfield and McLean upsetting South Lakes. Conference 7: Several big-time baseball programs historically in Lake Braddock, WT Woodson and South County. This year led by West Springfield. Conference 8: a smaller grouping of Western Prince William/Fauquier County high schools; contains strong teams (by record) Battlefield, Osbourn Park and Patriot. Conference 13: A weaker collection of smaller high schools from Arlington/Alexandria and Fairfax counties. Marshall seems like the contender here. Conference 14: Newer/smaller high schools from Loudoun County and includes Stone Bridge, which is dominating its district this year led by 1st round talent Jacob Bukauskas. Conference 15: Smaller high schools from Southern PW county and behond: historic power Potomac (VA) is here and they play mostly schools from further south. Upcoming Schedule (VHSL site and VHSL Conference/Regional results, which won’t get populated until the tourneys start). Virginia District Tournaments are scheduled from May 25th-May 30th, but some kicked off on 5/18/14. Some of the best Maryland-based baseball programs are either private (WCAC’s St. Johns and Riverdale Baptist) or are considered lesser talents than their Northern Virginia counterparts. But, there are some good Maryland teams to keep an eye on during the upcoming Maryland “Section” Finals. (MPSSAA home page), here’s a review of where we stand in the Maryland playoffs. Maryland is divided into these four “sections” by size, and then each section has a North/South/East/West division that encompasses the entire state. The winners of each section/division then make up the state semi-finalists, played at Cal Ripken’s Aberdeen stadium. the round of 64 was on Saturday 5/10/14, held at the higher seed’s location. the round of 32 (where the #1 seeds start) was held on Monday 5/12/14, also at the higher seed’s location. The round of 16 is being held on Wednesday 5/14/14 at the higher seed’s field. The round of 8/Sectional championships are are on Friday 5/16/14 at a field determined (as far as I can tell) by a coin flip. The round of 4 or the State semi finals are on 5/20/14 at various neutral fields around the state (Joe Cannon near BWI, U Maryland’s home field are example sites). The state finals are at Ripken Stadium in Aberdeen on 5/24/14. 4-A State Playoff Bracket (alt bracket via maxpreps) Bowie and Elanor Roosevelt, Chesapeake, Arundel, Gaithersburg and Blair all look promising at the onset to make the state tournament. In the round of 32 state-wide, the seeding mostly held as no #1 seeds were upset and nearly every #2 seed advanced. The round of 16s saw the Bowie-Elanor Roosevelt anticipated matchup, with Elanor Roosevelt coming out on top 10-8. Laurel blitzed sectional #1 seed Duval 20-3 to face Elanor Roosevelt in the state quarters. And Bethesda’s Walt Whitman faces off with its sectional #1 seed Gaithersburg after upsetting #1 seed Blair in the state round of 16. 5/18/14: Regional champs crowned and state semis set: Elanor Roosevelt (Greenbelt), Sherwood (Sandy Spring/Olney), Gaithersburg and Chesapeake (Pasadena, near Annapolis) are in the state final four. 3-A State Playoff Bracket (alt bracket via maxpreps): Columbia’s Atholton and La Plata in Southern Maryland are WP top-10 teams to keep an eye on. In the round of 32 state-wide a couple of #1 seeds faltered but otherwise the favorites stayed alive. In the round-of-16 Atholton was upset but LaPlata stormed onwards, joined by local schools Seneca Valley and Thomas Johnson in the state quarter finals. 5/18/14: Regional Champs crowned: La Plata, North Harford (Plysville, near PA border north of Baltimore), Thomas Johnson (Frederick) and Reservoir (Fulton, near Columbia) are into the state-semis. 2-A State Playoff Bracket (alt bracket via maxpreps) features Poolesville’s lofty 17-1 team amongst the few DC-local high schools small enough to qualify. The round of 32-statewide went mostly to form, with Poolesville getting by. Poolesville continued to hold serve in the round of 16, joined by Calvert in a #1 sectional-seed heavy state quarterfinals bracket. 5/18/14: Regional Champs crowned: local favorite Poolsville is joined by Southern (in Harwood, south of Annapolis), Hereford (in Parkton, north of Baltimore on I-83) and Parkside (in Salisbury) in the state semis. 1-A features no DC-area local schools and is populated by smaller schools from the state’s further reaches. Bracket via maxpreps is here. Two small high schools from Baltimore are joined by schools from Cambridge and Smithsburg (outside of Hagerstown) in the state semis. The major local Catholic League (WCAC) featured several good baseball programs this year (perennially tough Paul VI and St. Johns) as well as upstart DeMatha and Gonzaga. St. Johns faced O’Connell for the WCAC championship and swept the two-game final series by a combined score of 19-0 to win the WCAC. Flint Hill has dominated the MAC behind UVA commit Tommy Doyle, and easily took the title in mid-May over St. James. And in the IAC, Georgetown Prep finished undefeated in group play and played a very tough out-of-conference schedule, facing most of the heavyweight private schools in the area. However St. Albans upset the Little Hoyas in the IAC final. Oddly, the Virginia Independent School Athletic Association (VISSA)’s state tournament runs concurrent to both the local district tournaments, causing teams to really stretch their pitching to win both competitions. Three big-time NoVa based programs are all grouped in the VISSA Division I bracket (Paul VI, O’Connell and Flint Hill), though only Flint Hill has advanced to the state quarter finals. They were subsequently blanked in the semis by Charlottesville’s St. Anne’s-Belfield, who lost in the final to Lynchburg’s Liberty Christian HS. Lastly, the Maryland Private High School tournament kicks off the week of 5/19/14, featuring 6 of the best private schools on the Maryland side. We’ll see DC local private schools DeMatha, Riverdale Baptist, Good Counsel and Spalding (If anyone has a link to this tournament with more information, let me know). As was chronicled earlier this year in the Washington Post, there’s not much in the way of suspense when it comes to DCIAA baseball tournaments. Wilson HS has a 21-year winning streak against its DCPS league mates and has won games in the city this year by scores of 15-0 (Anacostia), 16-0 (Theodore Roosevelt) and an astounding 30-0 (over Ballou). Its the biggest story in baseball so far in 2014. We’ve had nearly 20 MLB pitchers get diagnosed with torn elbow ligaments so far this calendar year. All of them have or are set to undergo “Tommy John” surgery (also known as ulnar collateral ligament/UCL replacement surgery). That’s nearly as many as who got the surgery ALL of 2013 and we’re just 6 weeks into the season. 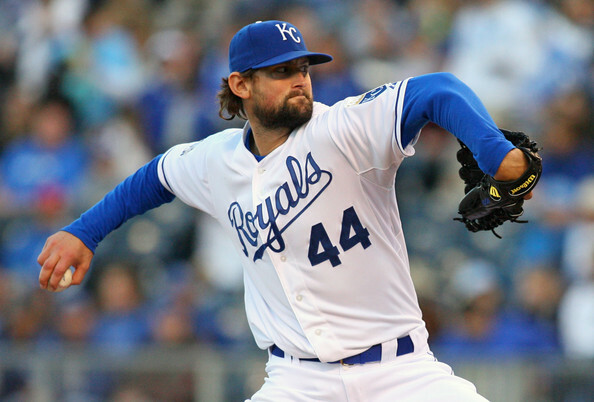 There’s an alarming trend upwards over just the past few seasons of pitchers getting this surgery. There’s been plenty more minor leaguers (two Nats farmhands in Erik Davis and Danny Rosenbaum have already gotten it in 2014) and already a couple of very high-profile draft prospects as well (including as discussed in this space potential 1st rounders Jeff Hoffman and Erick Fedde just in the last week). Dr. James Andrews, perhaps the most famous sports doctor in the world, attributes the growing trend to the rise in year-round baseball competition in the US. SI.com’s Jay Jaffe reviews Dr. Andrews comments and had other excellent stats about the trend in this April 2014 piece. The Washington Post’s Dave Sheinin did an excellent piece in the paper a few weeks ago about the injury, which he attributes to youth usage. Tom Verducci (he of the “Verducci effect”) proposed a solution in a column this week after the Jose Fernandez announcement. His idea? Lowering the mound across all levels of the sport. He draws this conclusion after hosting a very interesting round-table on MLB Network. Jayson Stark teamed up with ESPN injury analyst Stephania Bell and former player Alex Cora to discuss the rise in arm injuries in this ESPN.com video, and they follow Andrews’ theory of year-round pitching. Chris O’Leary, king of the Inverted-W (whether you believe his theories or not, I’ve included this link here) has his own theories as discussed here. He doesn’t really have much in the way of explanation, just more whining about how every pitcher’s mechanics has something you can complain about. Jeff Passan basically calls out baseball executives for not having any answers. If you want an index of all of ESPN.com’s stories on the topic, click here. It will have columns, analysis and press releases for individuals getting the surgery. 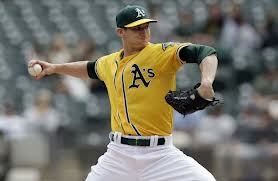 Per a Will Carroll 2013 study, roughly 1/3 of current MLB pitchers in the majors have had the surgery. 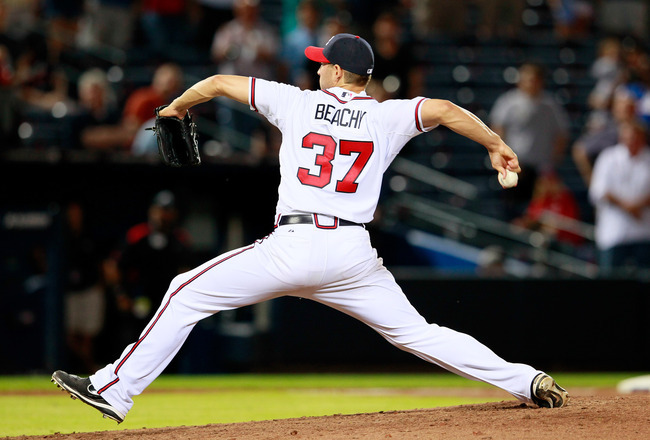 Per a study by the American Journal of Sports Medicine, of those pitchers who have the surgery, about 83% make it back to the majors and 97% returned to pro pitching. Only five of 179 pitchers in the study failed to return to their craft. The number of pitchers getting TJ surgery has risen dramatically in just the past few years, from a couple dozen in the early part of last decade to nearly 70 a couple of years ago. So what the heck is going on?? Lets talk about some theories. I’ll highlight them in Blue. The new “hot theory” is essentially this: Over-throwing at Showcase events, which have become crucial scouting events for kids raised in the United States, are to blame. Thanks to the rise in travel leagues and select teams, scouts spend less time sitting at high school games and more time at these all-star events. To prescribers of this theory, it isn’t so much about the amount of innings or pitches that kids throw … its the nature of the “showcase” events and the high pressure situations that those events put kids under. Kids are throwing year-round, and they’re ramping up max-effort pitches at national competitions multiple times per year, and in some cases out of “season.” This leads to serious damage to kids’ arms done as 16 and 17 yr olds, which then manifests itself over the years and results in blown ligaments in pro ball. Do you buy this explanation? It certainly makes sense to me, but how do you prove this? And, it doesn’t explain the similar rise in elbow injuries to non-American pitchers. Is it less about the showcase events and more about the Larger Increase in Youth pitched innings thanks to the rise in Travel Leagues? This theory also makes some sense to me: thirty years ago kids played an 18-20 game spring Little League season, at best would pitch half those games and that was it. Maybe they played in the fall too, but there were specific innings limits in place that protected kids. Now instead of playing limited spring and fall seasons, kids are playing AAU travel teams that play 40-50 games a summer, plus weekend tournaments, plus (eventually) the above showcase events as they get closer to matriculation. This theory certainly is supported by a startling rise in youth arm injuries, as noted in this 2010 study by the American Academy of Orthopaedic Surgeons. But, if its “bad” to play more baseball … then shouldn’t we be seeing even MORE injuries from players who grew up in third-world baseball hot beds like the Dominican Republic or Venezuela, where by all accounts kids play baseball from sun-up to sun-down 12 months out of the year in tropical climates? Interestingly, of the list of 19 MLB players so far who have been diagnosed with a torn UCL (see next section), there’s 4 non-American developed pitchers (Rondo, Nova, Figueora, Cisnero). 4 of 19 = 21%, whereas about 22% of MLB pitchers are non-American developed (my 22% figure comes from this quick study that I did; I grabbed every active MLB pitcher as of early May 2014 and did a quick-and-dirty player upbringing analysis to determine that about 78% of players “grew up” in the current American system of player development). It is small sample size … but the percentage of american versus foreign developed players are so far exactly in line with the total percentage of each type of player in the larger pool of MLB pitchers. This doesn’t seem to support either of the two above theories. We’ve all heard horror stories about pitch counts and pitcher abuse at high school events in Japan (this came to light over the winter as we looked at Masahiro Tanaka and learned about these Japanese showcase events; this article here at thebiglead.com talks about one Japanese prospect’s 772 pitches thrown over 9 days, and Jeff Passan talked about Tanaka’s own pitch count abuse stories and his average pitch counts as a Japanese-league pro). Unfortunately there’s not a ton of data available about this TJ theory and Japanese pitchers. I can find a couple of instances of Asian pitchers getting the surgery (Kyuji Fujikawa in 2012 being the most recent example), but not enough to establish any trends. American little leaguer plays limited schedules (18 games in the spring, perhaps fewer in the fall), has closely monitored pitch counts, therefore does not abuse his arm as a youth and thus his arm is “stronger” later in life as a result. Here’s a list of the 19 MLB pitchers who have already gone under the TJ knife so far in 2014 (data from baseballheatmaps.com, which has detailed Disabled List data). 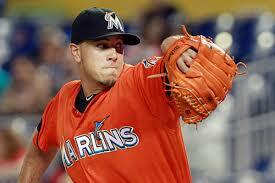 Jose Fernandez: diagnosed 5/13/14. Wow, biggest name to fall yet. 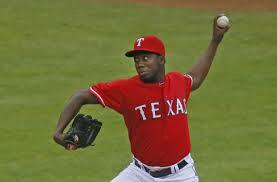 Josh Johnson: diagnosed/announced 4/23/14, surgery 4/24/14. His 2nd (first in 2007). Of these 19 pitchers, they are evenly split between being starters (10) and relievers (9). So that doesn’t seem to lend itself to any Starter vs Reliever usage conclusion. 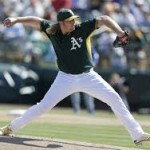 How about Pitching Mechanics? We’ve all heard ad-naseum about the “Inverted W” and people talking about pronation and timing and elbow lift and etc etc. Here’s a quick attempt to analyize the mechanics of each of these 19 guys (all photos grabbed as thumbnails from google images for the purposes of demonstration; no copyright infringement intended). But I’ll immediately add a caveat to these classifications; at various stop-points in a guy’s delivery, he may exhibit “good” or “bad” trends. Maybe some of these “sideways-M” guys are actually “inverted-W” guys. Maybe some of these inverted-W guys are ok and the stills make their mechanics seem worse than they are. Nonetheless; there’s no trend among the 19 guys in terms of their mechanics. In some cases they’re “bad” (Griffin and Gearrin’s look awful) but in some cases excellent (nobody should look at Moore’s mechanics and say they’re anything but clean, nor with Parnell or Corbin). These pitchers are overhanders, 3/4-slot guys and even side-armers/submarine guys (Gearrin and Moylan). These guys include hard throwers (Rondon had the 3rd highest velocity of *any* pitcher in 2013) and softer-throwing guys (Medlen had one of the lowest fastball velocities in the majors in 2013). There’s starters and relievers almost equally represented in this list. 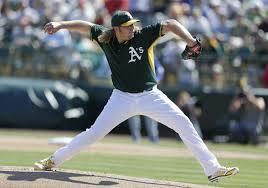 Conclusion; there’s no conclusions to draw from pitching mechanics analysis. I think all attempts to look at guys’ mechanics and make judgements are useless. I think (as does Keith Law and other pundits in the field) that the “Inverted W” is nonesense and that “research” posted online by concerned-fathers-turned-self-appointed-mechanics-experts is not exactly trustworthy. The fact of the matter is this: throwing a baseball over and over is hard on the body. Throwing a ball is an unnatural motion, and throwing a ball at max-effort will eventually lead to pitching injuries, no matter what your mechanics. They can be “good” or “bad” according to someone’s pet theory on bio-mechanics and it has nothing to do about whether a pitcher is going to throw 10 seasons without injury or have two tommy johns before they’re 25. Some historical context for pitching mechanics arguments: the pitcher who has the 2nd most innings thrown in the non-knuckleballer modern era (behind Nolan Ryan) was Don Sutton. Sutton displayed absolutely *classic* inverted-W mechanics, never hit the D/L in his career and threw nearly 5,300 innings over the course of 23 seasons. Walter Johnson‘s mechanics were awful; he slung the ball sideways as he literally pushed backwards away from the hitter at the end of his delivery. If someone saw Johnson’s mechanics today they’d talk about how over-compensated he was on his shoulder and how he lost velocity thanks to landing stiff and having zero follow through. 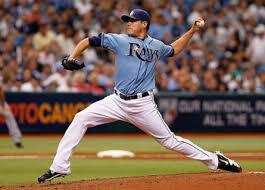 Johnson only threw 5,900 innings in his pro career; yeah those mechanics really held him back. Nolan Ryan was a freak of nature, throwing at that velocity for as long as he did. The point? You just don’t know. Maybe there’s something to the “showcase abuse” theory for some players. Maybe there’s something to the travel-ball overuse theory for some kids. But I think the answer may be a bit more simple. We all know there’s been a rise in the average MPH of fastballs in the majors, both on starters and especially with relievers. My theory is simply this: kids who “can” throw upper 90s spend all their time trying to throw upper 90s/max effort fastballs 100% of the time, and human arms just cannot withstand that kind of abuse over and over. In prior generations, kids who “could” throw that hard wouldn’t, or would rarely try to throw that hard, and thus suffered fewer elbow injuries. Side note: I also firmly believe that we’re “victims of our own success” to a certain extent with respect to modern medicine; 30 years ago would someone have just “blown out their arm” instead of being diagnosed specifically with a “torn ulnar collateral ligament?” Would some kid in the low minors who hurt his harm even bother to get an MRI? How much of the rise in these injuries is simply the fact that we’re better at diagnosing injuries in the modern sports world? Why are these kids trying to throw so hard these days? Because velocity is king, and that’s what scouts look for. A kid who “only” throws mid 80s as a 17-yr old is dismissed, while the kid who can throw mid 90s at the same age is fawned over. Guys like Greg Maddox, Mark Buehrle, and Tom Glavine probably don’t even get drafted in the modern baseball climate thanks to the over-focus on pure velocity. 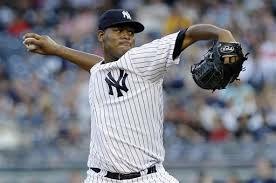 You can talk about upbringing and showcase events and pitch counts and mechanics all you want, but I think it comes down to Pitcher over-exertion thanks to the rising trend of fastball velocity and the human nature urge of prospects and farm-hands to show more and more velocity so they can advance their careers. What do you guys think? Do you dismiss the “inverted-W” arguments like I do? Do you think its all about showcase events? Kershaw’s new $30M/year contract will be tough to live up to. Photo via wiki. One of my pet projects of recent years has been to track “major” Starting Pitcher free agent contracts and then to do analysis of how they turned out, on a Dollar per Win basis. This post is an updated version of this analysis to determine some of the “best” and “worst” free agent contracts ever awarded to starting pitchers. It is updated for 2014 from last year’s version of the post by my putting in all the 2013 data for pitchers, plus putting in the significant 2014 FA contracts. And, per requests I have added in bWAR and $/bWAR for analysis (though, as we’ll soon see, $/bWAR can be tricky to interpret for really poor performing pitchers). The raw data spreadsheet is available in Google Docs at this link, or along the side of this blog window in the NAR Creation links section. I havn’t cut and pasted any of the data here because the spreadsheet is too “wide” for the blog; I suggest opening it up in a separate tab while reading this post. Data Taxonomy/caveats: For ease of analysis, I depend on the Average Annual Value (AAV) of the contracts as opposed to trying to figure out exactly how many wins were earned in which year of a varying contract amount. Therefore (for example), Gio Gonzalez‘s contract may have only paid him $3.25M in 2012 but I’m using the full AAV of $8.4M for the purposes of the analysis (it would just be far too difficult to calculate each pitcher’s dollar per win on an annualized basis otherwise). 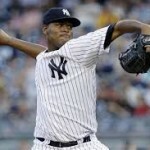 This analysis focuses heavily on dollars per pitcher Win, despite the known limitations of the win stat. There is also dollars per Quality Start and now dollars per bWAR (baseball-reference’s version of WAR). 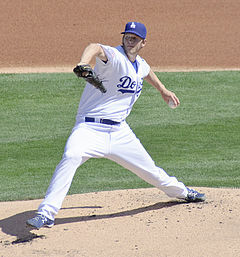 Clayton Kershaw‘s new 7yr/$214M deal signed this past off-season. 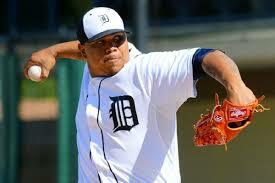 It beats out the previous record holder (Felix Hernandez‘s 7 year, $175M extension) by nearly $40M in total value. CC Sabathia (7yrs/$161M in 2009) was the longer-time previous record holder before that. 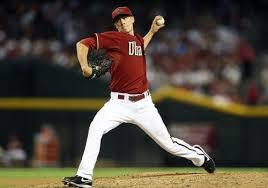 Zack Greinke (6yr/$147M) and Cole Hamel‘s 6yr/$144M contract deserve mention. Masahiro Tanaka signed one of the biggest ever deals (7 year $155M) before he ever threw a MLB pitch. 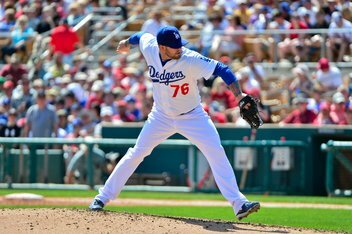 Kershaw’s new deal finally beats out Roger Clemen‘s long standing single season record 1yr/$28M deal in 2007 as the largest AAV pitcher contract. Justin Verlander‘s new deal gives him an AAV of $28M, a 10% jump up from the $24-$25M/year threshold deals we saw a number of pitchers sign in the last couple of years. What are some of the Worst Deals ever made? Lets talk about some of these awful deals on a $ per win or $ per bWAR basis. Most of these contracts are well known to baseball fans and are commonly thrown around when talking about the worst historical FA contracts, but they’re fun to revisit. Thanks to the bWAR inclusion, a number of new/more recent contracts now pop up on this list. Kei Igawa‘s 2007 deal with the Yankees, which was 5yrs/$20M but included a $26M posting fee, is generally speaking the worst $AAV per Win contract ever signed. Igawa went 2-4 in 13 starts over the life of this 5 year deal, equating to $23M per win for his team. He made exactly one quality start, meaning the Yankees paid $46M per QS.He spent the last two seasons of this contract buried in AAA. For their $46M, the Yankees got a combined -0.6 bWAR out of Igawa. Chris Carpenter signed a 2yr/$21M extension in St. Louis before the 2012 season that seemed like a good deal at the time; unfortunately for both sides Carpenter hurt his shoulder, only made 3 starts in 2012, went 0-2 and contributed a -2.3 bWAR in that time. So his dollars per win is infinite and his $/bWAR is uncalculatable. I still rank Igawa’s deal as worse though since it cost his team more than double the dollars, and since Carpenter’s troubles were injury related while Igawa’s was mostly due to performance. 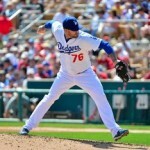 Jason Schmidt‘s 3yr/$47M contract with the Dodgers. 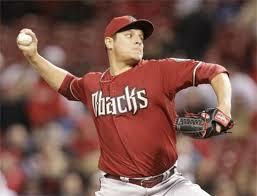 Schmidt made 10 total starts and went 3-6, equating to $15.6M per win. He totaled a -0.5 bWAR during this 3 year contract. 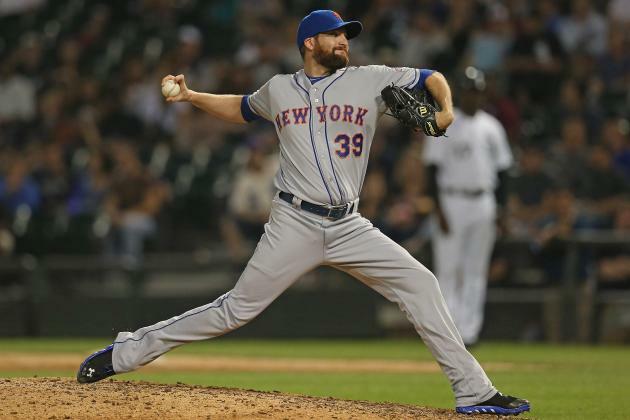 Oliver Perez made just 21 starts (and got 3 wins in the duration of his 3 year/$36M contract with the Mets. 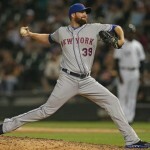 He was released in March of 2011, the final year of the contract, causing the Mets to eat $12M in salary. The Nats picked him up and carried him on their AA roster all year before dumping him as well; he’s now trying to remake himself as a loogy and is in Arizona’s bullpen. Matt Harrison‘s current deal (so far) has been pretty expensive for the Rangers: for $11M in salary in 2013 they got just two starts and two bad losses before he hit the D/L and missed the remainder of the season. He still hasn’t returned. Odds are he recovers and has a chance to earn this contract, but you never know with shoulder injuries (though to be fair the injury that cost him 2013 was a ruptured disk in his back). Tim Lincecum‘s recently completed 2yr/$40.5M contract was pretty ugly for San Francisco; he went 20-29, had just a 43% Quality Start percentage and contributed -2.3 bWAR over those two seasons for his $40M. Barry Zito signed a 7yr/$126M deal. In those 7 years he went 63-80 and contributed just 3.0 bWAR in the lifetime of the contract. That’s $42M per win. By way of comparison, Tanner Roark‘s 5 weeks of effort for the Nats last summer totaled 2.0 wins. Mike Hampton‘s injury plagued/ill conceived 7yr/$121M contract resulted in two full missed seasons and just a grand total 3.0 bWAR of value. Edwin Jackson and Dan Haren both managed to put up negative bWAR for their 2013 seasons (for which they were both being paid $13M a piece). But those are just one-year deals; they aren’t the multi-year disasters that these other contracts can be. Chan Ho Park signed a 5yr/$65M deal with the Dodgers; for those $65M the Dodgers got precisely 0.2 total bWAR in 5 seasons. That’s right; for that money they could have fielded a 4-A pitcher and gotten comparable value. Park was 33-33 during that time and missed significant time with injury. Darren Dreifort (6.1M/win and 0.2 bWAR in 5 seasons), Russ Ortiz (4.7M/win and -3.2 bWAR in 4 seasons), Carl Pavano ($4.4M/win and 0.4 bWAR in 4 seasons), and Carlos Silva ($4M/win and -0.7 bWAR in 5 seasons) all had pretty infamous contract disasters too. Pedro Martinez: 7yr/$92M, during which he went 117-37 for the Red Sox for a $786k/win total. Justin Verlander‘s 5yr/$80M deal from 2010-2014 will be a steal for Detroit: he’s already contributed 25+ bWAR and is at about $888k/win. The same probably will not be said about his mammoth $140M extension. Mike Mussina went 92-53 in his 6yr/$88.5M contract for $961k/win. Chris Carpenter‘s 4yr/$50.8M deal from 2008-2011 was a steal for St. Louis: He may have missed some time but he still went 44-23 during that contract, contributed 13.6 bWAR and his $/win number was just $1.1M. He’s the only guy who appears in both the “best contracts” and “worst contracts” section in this post. Mark Buehrle‘s 4yr/$56 deal from 2008-2011 resulted in about a $1M/win and just $3.2M/bWAR, great value for his team despite his mediocre looking 54-44 record. Jered Weaver, Yu Darvish, and Hyun-Jin Ryu deserve mention here; they’re all in the early stages of their long-term contracts and are easily providing value in terms of $/win. So what does this data mean? Here’s some conclusions when talking about Dollars per Pitcher Win. Up to perhaps the mid 2000s, if you got about one (1) pitcher Win per million dollars spent on a player in the Free Agent market that you were doing great. Now, if you’re getting anything under $1.5M per win, you should be happy. Especially if you’re paying an ace $25-$30M/year. Anything over $2M/win is usually considered a bust. Nearly every contract in the $2M/win in AAV and above has been mentioned and criticized as being a bad contract; the list of “worst ever” above starts at $4M/win and goes higher. If you pay a starter anything more than about $25M/season, you’re really going to have a hard time getting value back. There’s only been a handful of 20-game winners over the past 5 years or so, but paying a starter $24M like Greinke is getting is almost certainly going to be regretted at some point. An injury or a lost season completely blows the $AAV/win. It illustrates more clearly than anywhere else the value of a top-notch, pre-Arbitration starter. 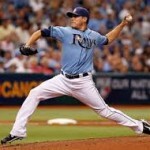 Take Clay Buchholz for example; in 2010 he was 17-7 while earning the league minimum of $443k. That equates to $26,059/win on the same staff that was busy paying Daisuke Matsuzaka $2.06M per win (when adding in the $52M posting fee). Buchholz has struggled with injuries since then, but teams that lock down and depend on these pre-arb starters save untold amounts of FA dollars as a result. This analysis is nearly impossible to do across baseball eras because of the general inflation of contracts and especially because of the bonanza of FA dollars being thrown out there right now. Pedro Martinez at the top of his game signed a 7yr/$92M deal. Imagine what he’d get today? It could be three times that considering how good he was in comparison to his counterparts in the mid 90s. 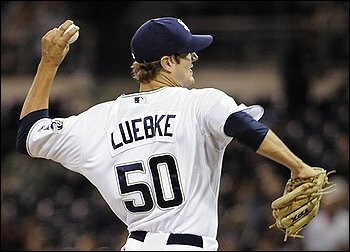 He was coming off a 1997 season in which he struck out 305 batters, had a 1.90 ERA, a 219 ERA+ and won the Cy Young award. So going forward a general $1.25M/win is a more accurate barometer for whether or not a pitcher has “earned” his contract. But there’s no easy way to draw a line in the free agency sand and say that before yearX $1M/win was a good barometer while after yearY $1.25M/win is a good barometer. A caveat to the $1M/win benchmark; there are different standards for obtaining wins. If you sign a $3M 1 year deal and then subsequently go 3-12 with a 6.00 ERA … while it looks like you reached the $1m/win threshold in reality you were, well, awful. This analysis only really holds up for major FA contracts paying in excess of $10M/year. And here’s some discussions on Dollars per WAR, since we’ve added that in for this 2014 analysis. The general rule of thumb is that “wins” in terms of WAR “cost” is somewhere between $6M and $7M on the open market. Did $6M/win work out in this analysis? Yes and no; it is sort of difficult to do this analysis with players badly underperformed. Take for example John Danks: he’s two years into a 5yr/$65M contract where he’s gotten hurt in both seasons and has just 7 wins and a 0.7 bWAR. Well, $26M in total salary paid so far for 0.7 bWAR equals a $37M/war figure. Well that’s not quite right. The best you can do is look at player-by-player examples. Johan Santana‘s 6yr/$137.5M contract cost his team $9M/bWAR. That’s unquestionably bad. Cole Hamels went 17-6 in 2012 on a 1yr/$15M deal, which turned out to be just $3.2M per WAR for his 4.2 bWAR season. That’s great. The $/bWAR analysis gets worse if the bWAR is negative; our own Dan Haren came in with a -0.01 bWAR for 2013; how do you decide how much the Nationals paid on a dollar-per-bWAR basis for Haren? If you divide 0.01 into his $13M salary you get a non-sensical -$1.3 billion figure. The counting figures for Starts/QS/Wins/Losses are cumulative for the life of whatever contract the player is on. So for Strasburg, he was basically in the 5th year of his original 5 year deal, hence the 75 total starts in those 5 years. Yunesky Maya and Nathan Karns both contributed negative bWAR for 2013, so their numbers are meaningless. Taylor Jordan and Dan Haren both came in at zero (or close enough to it) bWAR, so their numbers are also meaningless. Well, not “meaningless” in Haren’s case: basically he gave the team replacement performance for his $13M in salary; the team could have just called up a guy from AAA and let him pitch all year and gotten about the same value. Thanks for the memories! The best $/win guy was Tanner Roark, who got 3 wins for his MLB minimum salary … and that’s not even taking into account the fact that Roark’s 2013 salary probably should be pro-rated for this analysis. The worst $/win guy was Maya; who demonstrated yet again that his $8M contract was a mistake. Nearly the entire staff has $/win values under the “you’re doing well” threshold of $1M/win. And nearly the whole squad is doing $/bWAR well below the $6M/bWAR range. If Hoffman is there at #18, do you take him? 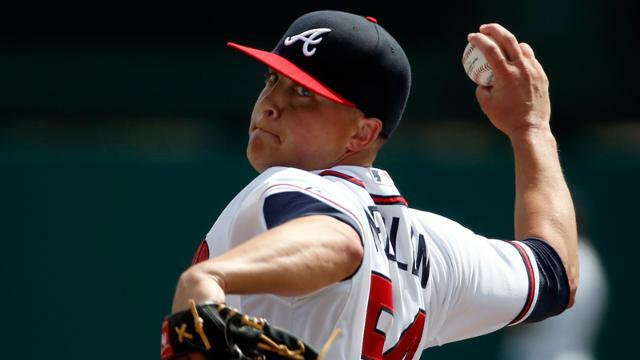 Jeff Hoffman gets some terrible news; would you still draft him? Photo via ECU Media Relations department. 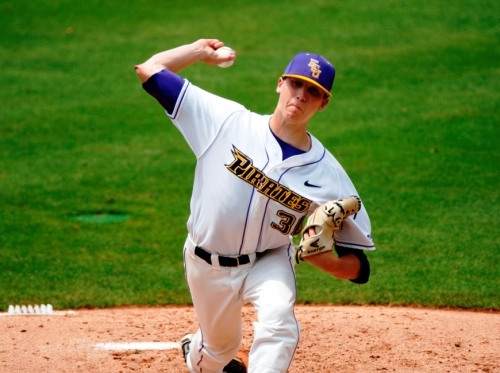 News came down on 5/7/14 that likely top-5 pick Jeff Hoffman, a RHP starter for East Carolina University, has a small tear in his UCL that will require Tommy John surgery (also reported here on PerfectGame and discussed on MLBTradeRumors). Yet another high-profile starter in the sport befelled by this injury. Keith Law believed that the Chicago Cubs (picking 4th overall) were highly likely to be drafting Hoffman … and now are re-making their draft strategy on the fly. 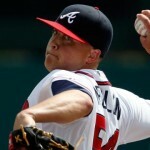 Here’s the question of the day: If you’re Mike Rizzo and you’re the Washington Nationals, and Hoffman drops to you picking in the first round at #18 … do you consider taking him? Despite this injury, Hoffman likely will be drafted and will sign. Why? Because even if he gets the surgery tomorrow, he’s looking at least at a 12-month recovery time, which means he’d miss his entire senior season. He could red-shirt so that he could play a 5th college season, but by the time he were to do that, he’d be pushing 23 and will have missed two full years of pro development time compared to his contemporaries. If he signs a pro contract, he can rehab under the care of a pro baseball team that likely has had numerous other pitchers go through this surgery instead of rehabbing on his summer break from school, likely away from his college coaching and training staff. Who may never have had to deal with an injury like this frankly. By the time he recovers, it’ll be just in time for him to debut on a short-season squad in 2015 after having worked out since February in a team’s spring training facility. If he’s getting any sort of decent representation, they’ll advise him to sign. Now the question is; how far does he drop in the draft? Mid first round? End of the first round? Further? He’ll drop on everyone’s draft board; the question is just how much. Law predicts he drops from about 4-5 to about #25 overall, citing players like Kyle Gibson and last year’s Sean Manaea as examples of players who got drafted while injured in recent years. There is another important precident here, and it involves the Nats. 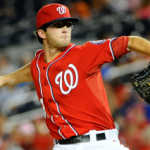 Lucas Giolito was in the discussion of going 1st overall in the 2012 draft before injuring his arm, and the Nats grabbed him at #16. After attempting to rehab the arm all summer, Giolito’s one pro outing that year was stopped short and he had the surgery. 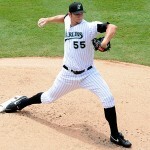 He returned ahead of schedule, got in 36 pro innings in 2013, and started this year in the low-A full season rotation. 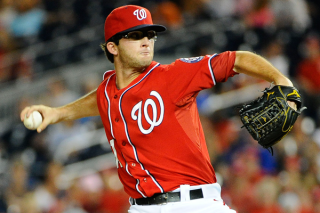 One of the reasons Giolito signed was because of the Nats track record with the injury and its recovery, and its reputation for putting the player’s concerns over the teams (see Strasburg Shutdowngate and the similar handling of Jordan Zimmermann and Taylor Jordan). Now, Hoffman is no Giolito; he’s older, his stuff reportedly isn’t quite as good, and ECU isn’t exactly in a powerhouse conference so the possibility exists that his stats are augmented. But that’s why teams have scouts, and despite all of this he is widely considered the 2nd-best college pitching prospect in this draft (after Carlos Rodon). 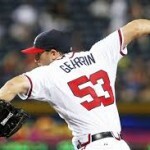 I think the Nats might be tempted to grab a top 5 talent at #18, knowing that he’ll be ready to go by 2015’s short-season. The question is whether they value that committment at #18 overall over another player. My gut reaction is that the Nats will skip him and go a different direction, and that someone with a comp 1st round pick will grab him knowing that they have another first rounder in the bag. But if he’s still hanging around in the mid-2nd round … I think he’d be a great roll-of-the-dice pick. At the end of the 2013 season, I put out a slew of season rotational reviews and then predicted where everyone would start in 2014. We’re a month into the minor league full-seasons and the rotations are already mostly established (with D/L trips and slight movement as noted here). 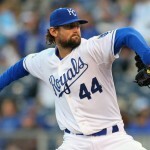 So lets do a little navel gazing and take a look at my predictions versus the actuals before we lose too much identity with the makeup of these four full-season pitching staffs from opening day. As always, Luke Erickson and nationalsprospects.com, the Nats Big Board and the tireless work by “SpringfieldFan” is much appreciated here. MLB Discussion: A late spring injury to Doug Fister obsoleted the 5th starter competition, giving both Tanner Roark and Taylor Jordan spots (for now; Roark has “won” the 5th spot thanks to a better April now that Fister is ready to come back). The biggest news during spring training was the Ross Detwiler “demotion” to the bullpen, but the Aaron Barrett victory over the likes of Christian Garcia and Ryan Mattheus was also notable. Injuries to Ross Ohlendorf and Erik Davis cleared out bullpen competition, and an early spring training chest injury to Mattheus also made it difficult for him to break camp with the big league club. Nothing new here: we’ve talked this to death already Lets move onto the four full-season minor league squads. Technically I got 2/5ths of the AAA rotation right to start the year: Rosenbaum and a MLFA in the form of Omar Poveda (technically an acquisition but still…). Karns was traded to obtain our (now) starting catcher Jose Lobaton. 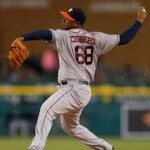 Jordan of course started the year in the majors, but I think he’ll end up back here for a good portion of the season. Young was granted his release and immediately signed in Seattle to fill one of their rotation spots. The team resigned its own MLFA in Ryan Tatusko to return and he seems set to be in the rotation for now, but he’s more of a swing-man/org arm and he likely makes way for a starter when needed. The big surprise is the unexpected promotion of Taylor Hill; he featured in AA but I thought he’d start out there. Brad Meyers stays in the organization but is “missing” for the time being: he may be headed for the D/L but as of this writing has no assignment. In the month since opening day, we’ve seen both Mike Gonzalez and Aaron Laffey make their way to Syracuse to cover for the subsequently injured Rosenbaum and promoted MLB-bullpen-covering reliever of the day (Cedeno, Treinen, Barrett and Mattheus have all already spent time on the shuttle between Washington and Syracuse). In the bullpen; our prediction looks decently correct; 6 of the 8 Syracuse opening day members were called. The outliers: MLFA signings Warner Madrigal and Josh Roenicke. Predicted members Erik Davis instead sits on the mlb 60-day D/L, and Alfaro is in the AA squad. Pat Lehman sits on the AA D/L for now. AAA “Star Power” summary: So, as has become typical AAA isn’t so much about finishing off prospects as it is about holding spare parts. In the rotation we had zero 40-man roster players at this point, and really just Blake Treinen features as a potential up-and-comer (with possible future apologies to Taylor Hill of course …). The bullpen has just three 40-man roster arms (a loogy in Xavier Cedeno, and two injury reclamation projects in Christian Garcia and Ryan Mattheus). Eventually we should see some culling of this roster when the team needs to find spots for Gonzalez and Laffey in particular. Syracuse fans may not be getting the best pitching staff out there to cheer on. 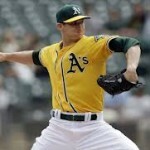 We got some of the rotation correct; A.J. Cole and Blake Schwartz. We technically got Hill and Treinen correct … just under-valued where the organization would put them. And lastly Sammy Solis would be in this group had he not suffered a late-spring back injury; for the time being he’s in XST but is on the “missing” list here. I had Rob Gilliam as the AA swing man anyway; he would likely make way for Solis once he comes back. The two additional names are Matthew Purke (who surprisingly to me starts the year in AA) and newly acquired Felipe Rivero. We got most of the bullpen right: 5 of 8 predicted. The outliers: Ryan Perry remains in the organization but sits on the D/L; personally I thought he may get released. Gabriel Alfaro was a MLFA who slots into the bullpen, as was Zach Jackson (who should have been in AAA to begin with and has already been promoted). Benincasa starts in high-A again and Gilliam is pushed into the rotation. Recent acquisition KPerez remain missing, along with several other middle relief arms. Spann started the year two levels lower than I thought he should have in Low-A but currently sits in Potomac. A couple of long-serving names are now out of the organization; I was surprised to see Cameron Selik in particular being released; I always liked him for some reason. Its tough being a middle relief RHP with so many of them getting drafted year after year. 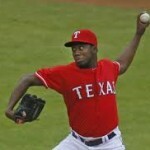 AA Star Power summary: A few very important names to the organization sit in AA: top pitching prospect A.J. Cole sits here and will be looking to push for a AAA promotion. 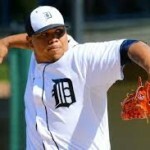 Sammy Solis had rumblings of being turned into a Loogy in Spring Training; now he just needs to get healthy. Matthew Purke’s destiny remains at a cross-roads thanks to a horrible start to his 2014 AA campaign. And newly acquired/40-man member Felipe Rivero sits here, hoping to show as a decent bounty for the Nathan Karns trade. These three guys all sit on the Nats fast-depleting 40-man roster … and they represent 33% of ALL the 40-man rostered players in the Eastern League. 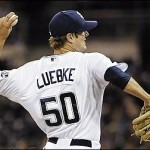 I thought the team would start Purke in high-A again; instead he is struggling in AA. I thought Dixon Anderson was old enough to merit the move to high-A; instead he still sits in Hagerstown repeating the level. And Kyle Turnbull remains on the low-A D/L for now. Otherwise the High-A rotation prediction looks pretty good: we hit on Mooneyham and Encarnacion, we hit on RPena and Dickson and Bacus as swingmen or starters (they all now sit in those roles in some capacity or another thanks to injuries). The bullpen predictions are all over the place; both Wort and Holt were released, not pushed higher. Fischer remains missing. Benincasa is lower than I thought he’d be. Dupra and Rauh (who I thought were in jeopardy of getting cut) not only have kept their spots but have been pushing for promotion, which is great to see. It does go to show that its kind of difficult to do these predictions the lower you go. High-A Star Power summary: Honestly there’s not a ton of big-time prospect names on the High-A staff. Mooneyham was a high draft pick but has more or less struggled thus far in his pro career. Encarnacion could be an up-and-comer in an organization that has struggled to develop its DSL graduate talent lately. Otherwise the Potomac staff is filled with mid- to late-round college draft arms, older for the level at this point, and likely playing for their careers this year thanks to the higher-end talent sitting in the Hagerstown rotation right now (read further). The big three starters in Hagerstown were easily predicted (Giolito, Johansen and Voth). Lee and Anderson switched places in my predictions (both starters, wrong teams) and Orlan is stuck in XST. Pivetta was pushed to the rotation after pitching in relief last year. And then a slew of the Hagerstown arms are participating in a “dual starter” system where by the starters generally have been going 5 and the relievers/spot starters going the other 4 each night. So the team is getting lots of looks at these pitchers on an extended basis. This system means there’s really not a “bullpen” being developed in Low-A, which is just as well; I’d rather have 8-10 starter candidates to choose from for higher levels than just 4-5 with guys already being pushed to being short-inning relievers in Low-A. Unfortunately, we see that a slew of guys have already been cut here who appeared on last year’s rosters. And, there’s a ton more players currently sitting in XST waiting to compete with June 2014 draft picks in the short-season squads. Lots of churn here. Low-A Star Power summary: look no further than the big three starters: they represent 1st, 2nd and 5th round draft picks. Throw in Pivetta (a 4th rounder) and the team has a ton of vested interest in this rotation.